Almost 45% of Americans feel their stress has increased over the last 5 years, while a whopping 20% face extreme stress and anxiety. Stress has been linked to diabetes, heart disease, asthma, gastrointestinal disorders, mental health issues and more. Despite the risks, however, most of us tend to treat stress as a disturbance rather than the silent killer it really is! Understanding how and why stress affects our health is a crucial step towards overcoming the problem. Let’s look at an often-ignored aspect—how stress affects our mouth, teeth, gums and general oral health. Increased stress raises the likelihood of developing dental problems like bruxism (teeth grinding), mouth sores, etc. Chronic stress leads to higher levels of the hormone cortisol, which weakens immunity and raises the risk of infection. It also increases the risk of gum disease, which can have effects ranging from severe deterioration of bone and gum tissue to tooth loss. Negative impact on our oral hygiene routine, since we may not pay as much attention to brushing, flossing, etc. It can lead to lifestyle changes that cause oral problems, e.g. poor eating habits, alcohol abuse, smoking or indulging in sugary foods or drinks. Poor Hygiene: If you’re stressed, you may not pay careful attention to your oral care routine, and could suffer bad breath, tooth decay and gum problems as a result. You need to make sure you’re brushing and flossing regularly, and visiting your dentist for checkups on a proper schedule. Bruxism: Stress can make you clench or grind your teeth, especially in your sleep, which wears down the tooth enamel and causes alignment issues. It can also lead to chipping, jaw pain, TMJ/TMD (temporomandibular joint disorder), trouble chewing or speaking, etc. Gum Disease: If your gums are bleeding, inflamed or swollen, you may have gingivitis. If left untreated, this can develop into more serious periodontal diseases, eventually causing bone/tooth loss. Stress can affect your diet and oral hygiene routine or cause you to start smoking, raising the risk of gum disease. Mouth Sores: Cold sores and canker sores (mouth ulcers) typically show up around/inside the lips, mouth, nose or chin. These can be caused by stress-related hormonal changes, weakened immunity and poor oral hygiene. A healthy and clean mouth is key. Oil-pulling may be a helpful, natural remedy. Dry Mouth: Changes in hormone levels can be triggered by stress (or even stress medication), affecting saliva production in your mouth. Dry mouth caused by low saliva levels can damage teeth, gums, and even your tongue by encouraging plaque buildup. It can also make certain dental treatments difficult. Infections: Stress reduces immunity, which increases the risk of oral infections and diseases. It can affect the rate of healing after a dental procedure is performed, and raise the risk of infection during the healing process as well. Practice any of these 8 medication-free strategies to reduce stress. Brush your teeth thoroughly and on a regular basis to keep them clean. 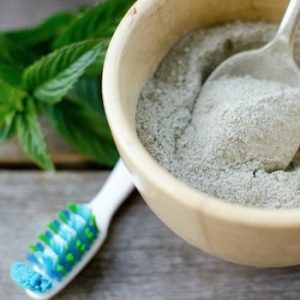 Make your own natural toothpaste. Floss between your teeth every day to dislodge stuck food and prevent plaque. Make oil-pulling a daily practice, for extra protection. Eat healthy meals that include more fruits and vegetables. Avoid sugary, hard, or sticky snacks. Avoid smoking or any other form of tobacco use. 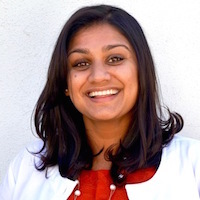 Author: Dr Amruta Patel is a warm and compassionate dentist caring for the community of San Antonio, TX. She practices at All About Smiles, where she provides cosmetic braces, endodontic treatments, implants, and veneers, as well as basic general dental services. Outside of practicing dentistry, Dr. Patel enjoys spending time with her husband and two dogs.